I'm a label-reading Mama on a mission to find the safest products on the market! The case for supporting the MLM business model! Ready to work from home? Join team Eco-Poofy USA! One of my favorite quotes of all time! How do I know I’m being the change I wish to see? I took my Son to see some Holiday Rotary Lights an hour away last week, it was well worth it, we had a GREAT time. On the way home he said “Mom, I’m thirsty” and I realized I forgot to grab our water bottle which we NEVER leave home without, at least not for longer trips like this, I’m so good about remembering it usually. We were with my Mom & Sister & needed to stop for gas anyway so I said “Ok, we’ll have to buy some water I guess” as we were still 45 min from home on the return trip, and he was really thirsty. My Son: “what, we have to buy water”? He looked at me very puzzled & said “Mom, but what will it come in?”. He honestly was perplexed & had no idea what to expect! And it dawned on me: In his almost 4 years of life, he’d never once had bottled water, not ONCE. He didn’t know what to expect at all. I felt both great that we’d made it that long, and sad that I’d forgotten our bottle this time, as what if I could’ve made it a few more years, or indefinitely?! Anyway, we had a nice talk about how avoiding plastic is a very good thing, as well as how much they charge for water & how important it is to make sure we never leave home without it again. This is just one small example of the ways I see my Son, who is growing up SO FAST, being a little mini-me, and it makes me very, very proud. We know that our children look up to us, and learn so much from us even when not outright teaching them lessons! 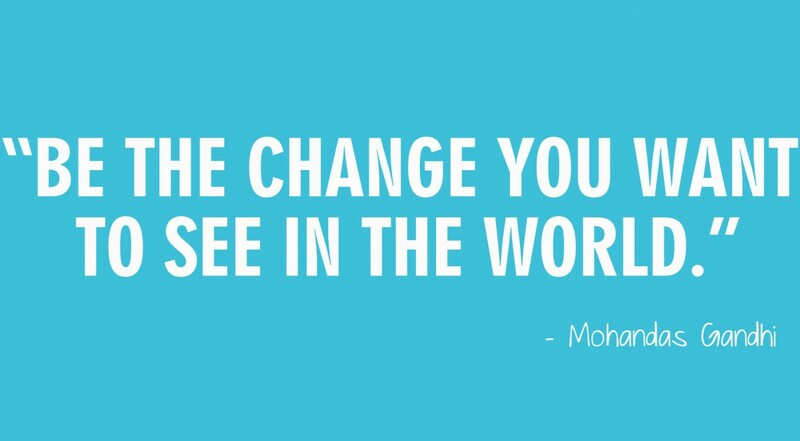 So please, be the change YOU wish to see in the world this year! Previous Our favorite Made in USA toys/vendors Next If my blog were an exhibit at the Louvre…. Out of the mouths of babes, as they say; great job Jess with leading by example! Poofy Organics Earth Day SALE!!! Free Egg Dye Kits with qualifying purchase! Poofy Organics by Jess 10% off sale! Welcome to the NEW Pure Play Kids! Reflections on 7 years as a blogger! !